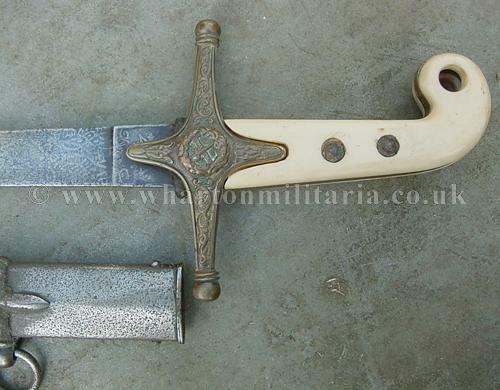 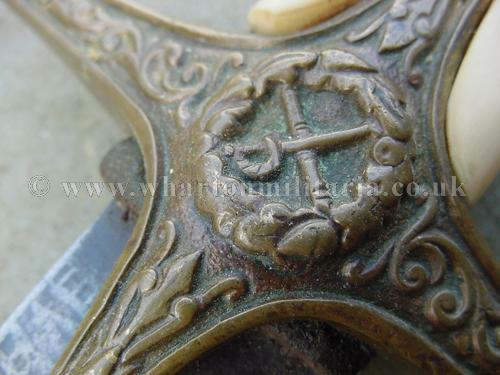 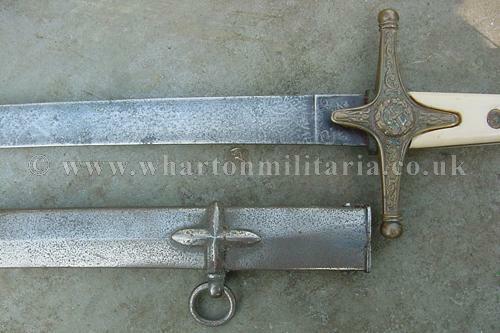 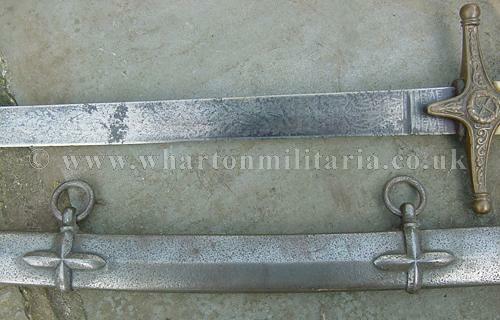 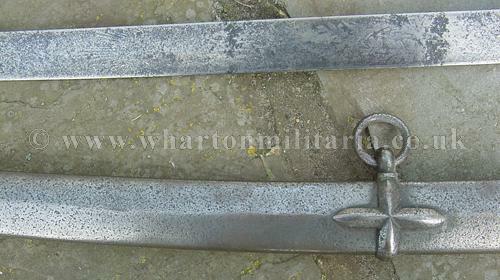 English General Officers 1831 Mameluke sword. 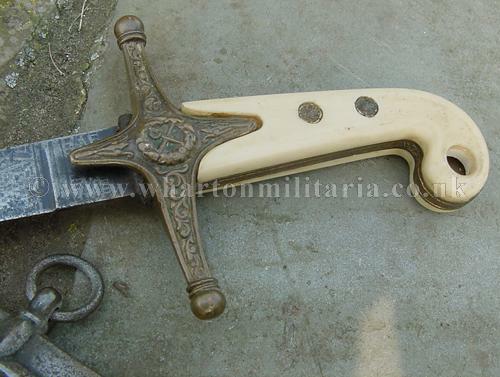 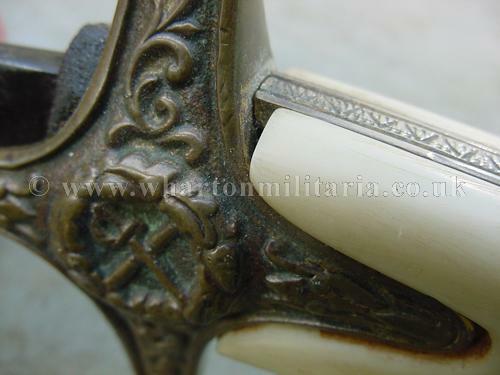 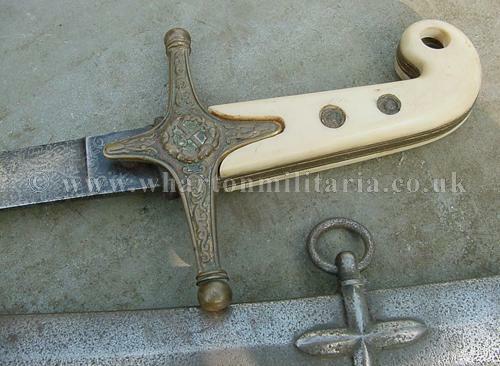 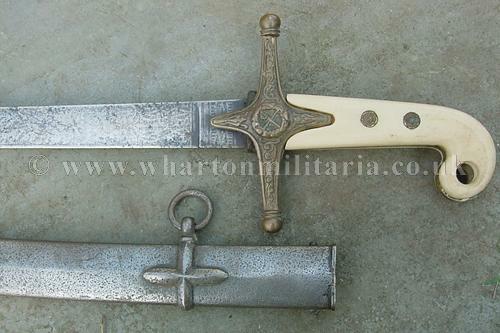 Sword hilt with brass quillons and ivory grip with double langets, curved single edged blade until 11inches from the point. 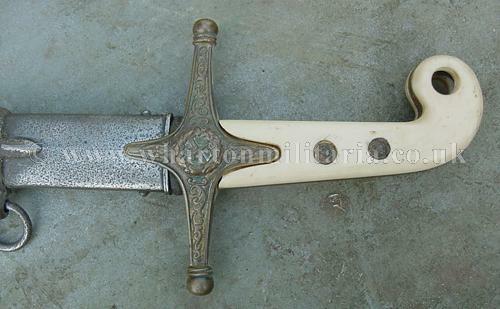 Blade is 31 iches long, well polished though the etched design is still visable, appears to be the Victorian crown and on the reverse side the sword and baton between laurel leaves, the blade has had a hard life showing stains and pitting. 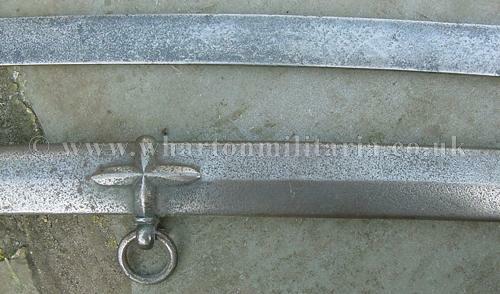 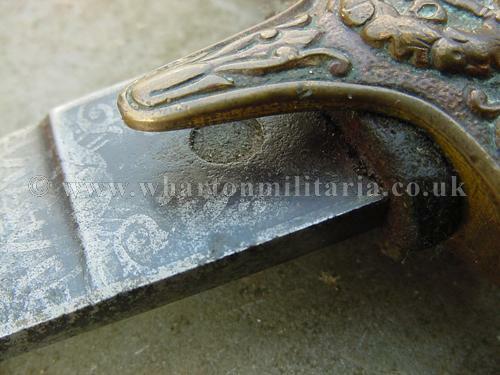 Scabbard likewise showing its age and journey through time ~ see pics ~ that said, still a nice example of a mameluke sword.